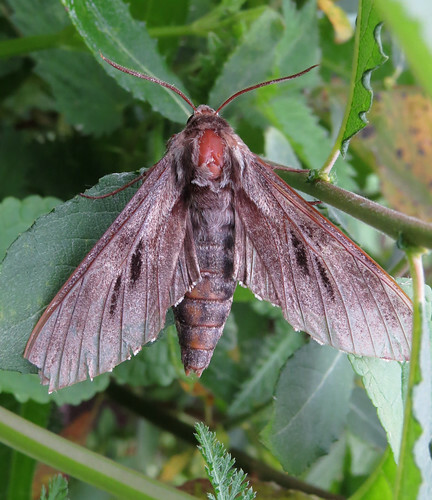 The opening weeks of July proved to be a fantastic period for moth recording with several new species added to the Tophill Low NR list in East Yorkshire, including some regional scarcities. All the statistics are taken from Yorkshire Moths. 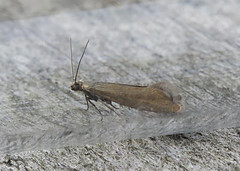 The highlight of the period was Cedestis gysseleniella taken at light on the 13th July – only two had been seen in the vice-county up to the end of 2014, with only 22 being recorded previously in Yorkshire. 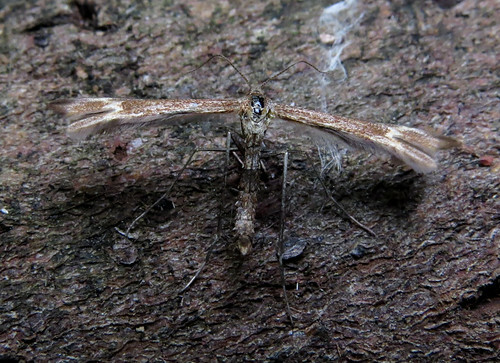 Second in the scarcity stakes, this Hemp-agrimony Plume Adaina microdactyla appeared at light on the 1st. As at the end of 2014, there were nine vice-county records and 27 Yorkshire records. 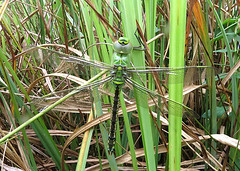 Interestingly, two more were trapped on the 10th, with another appearing on the 13th. 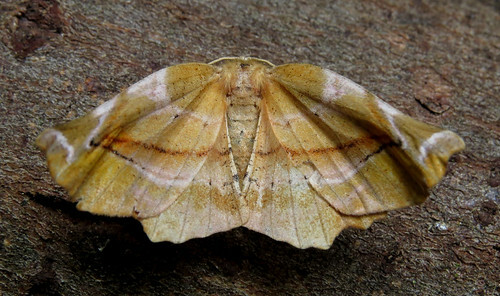 The 13th also saw Crescent Plume Marasmarcha lunaedactyla trapped. 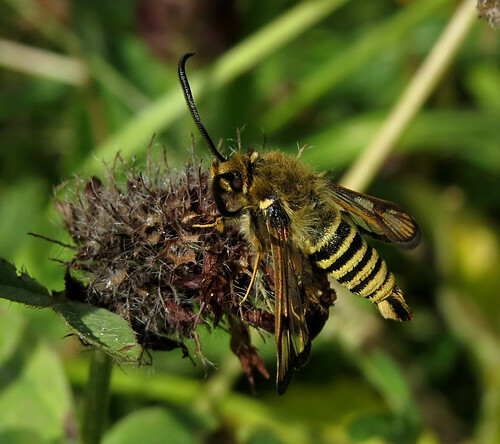 Another Yorkshire scarcity, 46 individuals had been recorded in the county by the end of 2013 – 20 of them in VC61. 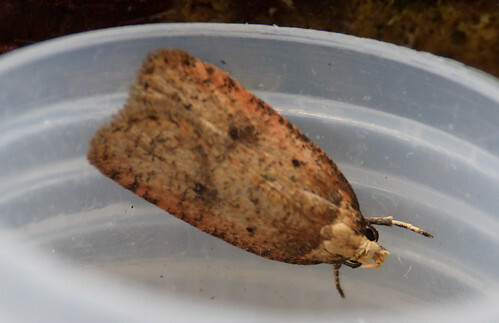 Agonopterix angelicella, photographed by Doug Fairweather, was also a new addition to the Tophill list on the 10th. Another regional scarcity with only eight vice-county records and 38 Yorkshire records up to the end of 2013. 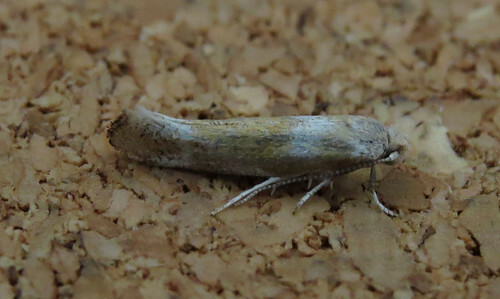 Other new species so far this month involve Scoparia pyralella on the 3rd, Bryotropha terrella and B. affinis on the 10th, and Crambus pascuella on the 13th – the same date as the first Tophill Lilac Beauty Apeira syringaria. 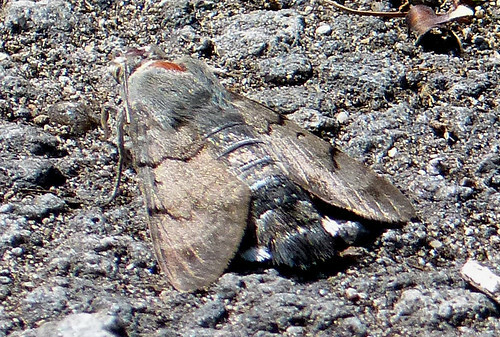 Small numbers of immigrants have been noted during the month – Hummingbird Hawk-moth Macroglossum stellatarum sightings involved 2 on the 4th and 1+ on the 18th – photograph by Doug Fairweather during a brief period of rest. 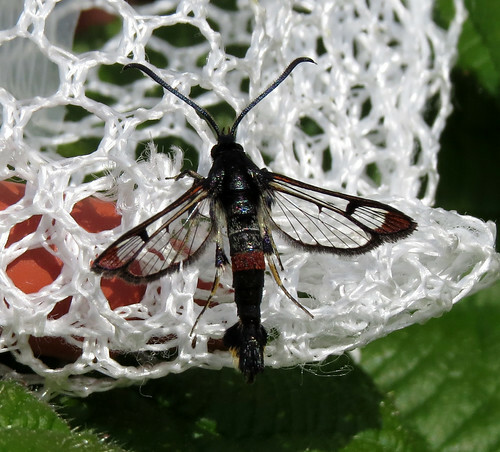 Single Rusty Dot Pearl Udea ferrugalis were trapped on the 11th and 16th – the third and fourth Tophill records, and a Pale Mottled Willow Caradrina clavipalpis was caught on the 13th. Other site scarcities recorded included Green Oak Tortrix Tortrix viridana on the 2nd – the first trapped since 2006. 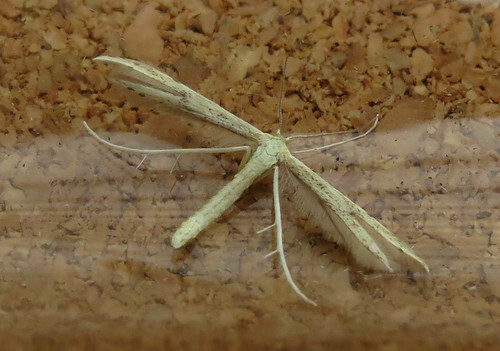 Tophill’s eighth Anania crocealis was noteworthy on the 13th, the same date as the third Pine Hawk-moth Sphinx pinastri was attracted to light. 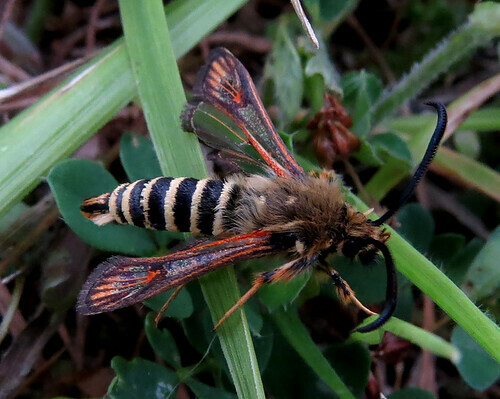 Finally, small numbers of stunning Red-tipped Clearwing Synanthedon formicaeformis and Six-belted Clearwing Bembecia ichneumoniformis have also been seen during the month. For all the rest of the Tophill news, check out the official site here.